Almost a week ago Koodo introduced new Canada-wide promo plans that included double the data of what competitors Fido and Virgin Mobile were offering. 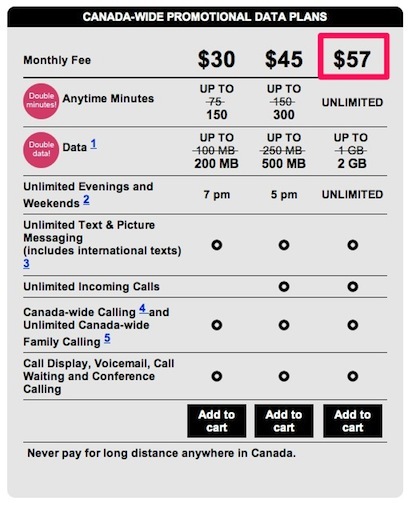 The only difference was the Koodo unlimited plan was $60 compared to the $57 offering by Fido and Virgin Mobile (both quickly doubled data to 2GB to match Koodo). So there you have it folks. Wireless ‘competition’ in Canada!